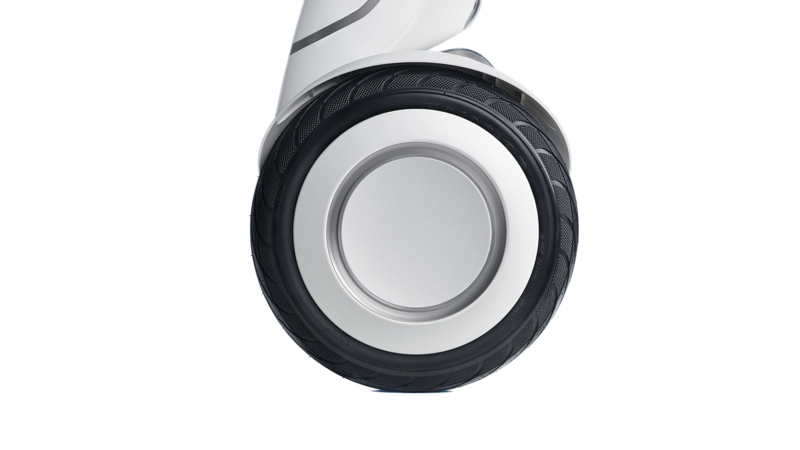 The innovative design allows for precise and smooth maneuvering — steer by lightly pressing left or right on the knee control bar. You can even use the bar’s water-resistant storage compartment to stow your remote control. 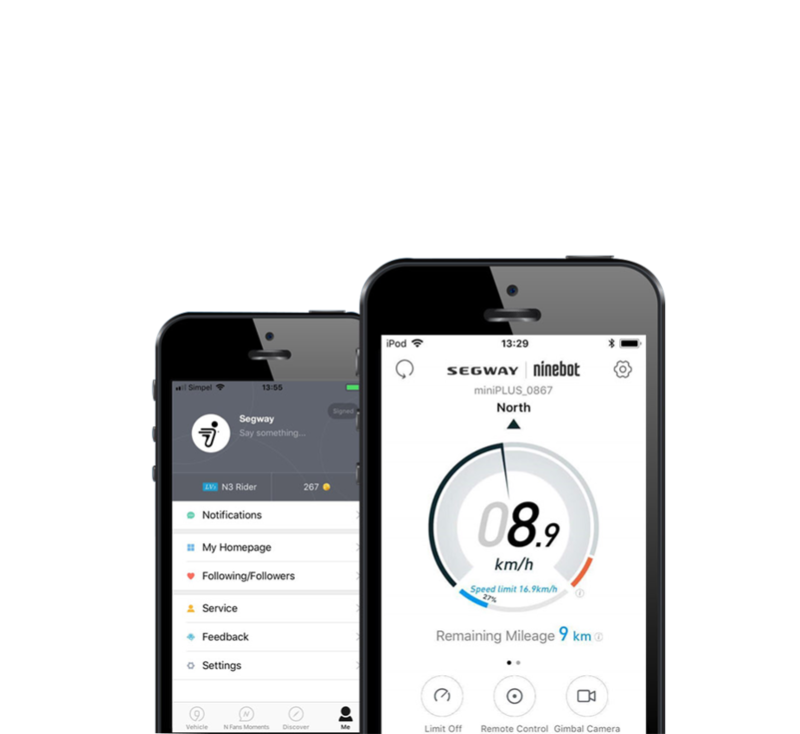 Use the app’s intelligent remote-control feature to drive your miniPLUS like a ground drone or, adjust the follow distance and speed in FOLLOW MODE. 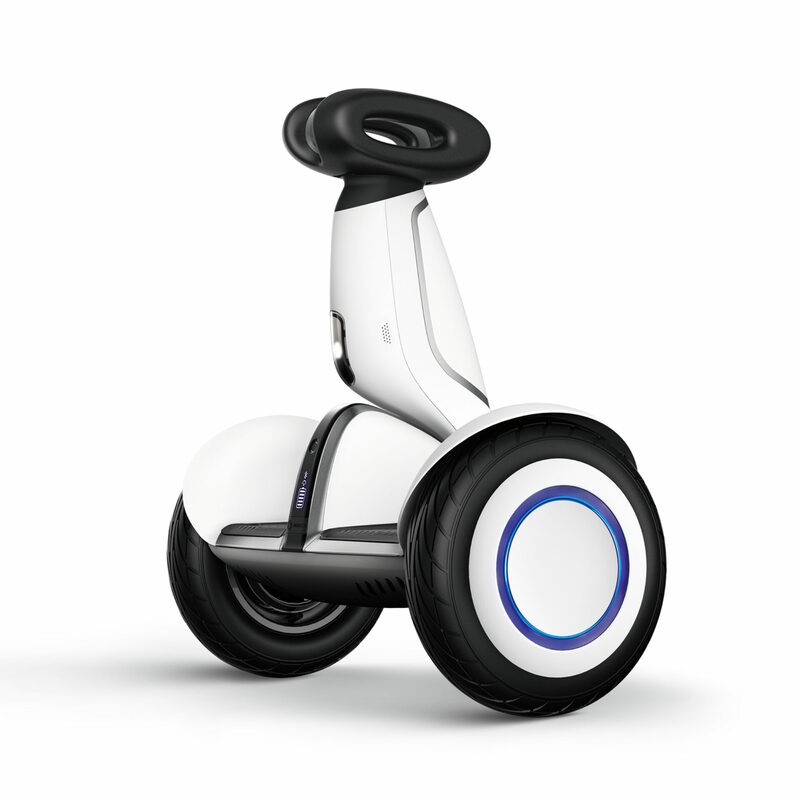 In addition, the app also delivers a riding tutorial, the ability to customize light colors, modify safety features, lock the unit and more.